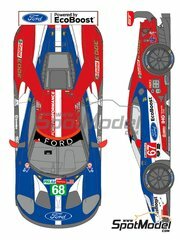 Update for the Ford GT decoration by Revell with the numbers and colors used by the official team at Le Mans and Daytona 2018 races. 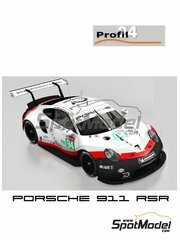 Decals with the Belga sponsor logos not included in the model. 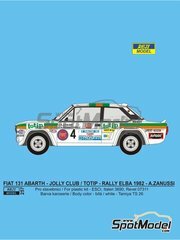 Decoration for the Fiat 131 Abarth sponsored by Totip. 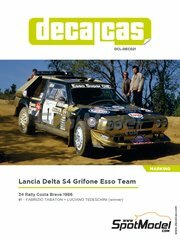 You can choose between the version that raced the Elba Rally, or the version of the winning car at the RACE Rally. 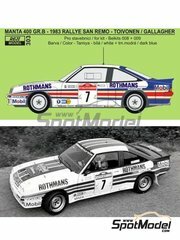 Beautiful decoration of the Rothmans sponsored Group B Opel Manta 400 as it raced in the 1983 Sanremo Rally, with Toivonen at the wheel. 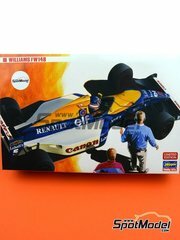 Includes all tobacco advertising. 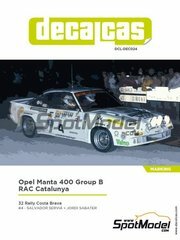 Livery of the winning car at the 34th Rally Costa Brava, a beautiful car decorated in black and gold with which Tabaton flew over the bends of the Spanish rally. 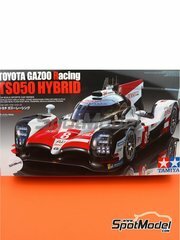 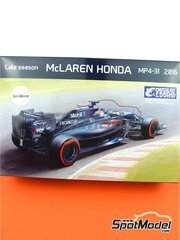 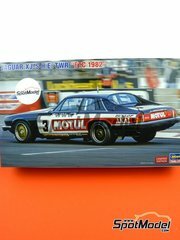 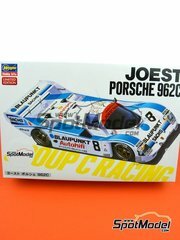 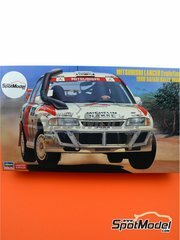 Scale model kit for recreating the car used at the end of the 2016 season. 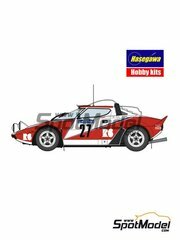 Time-limited re-edition of this photo-etched parts sheet for the Lancia Stratos HF Safari Rally. 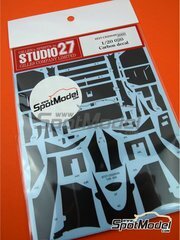 Decal sheet featuring the carbon fibre patterns needed for decorating the fairing, fender, rear cowling and other details and parts of your Yamaha YZF-R1M by Tamiya. 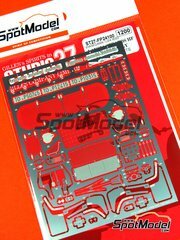 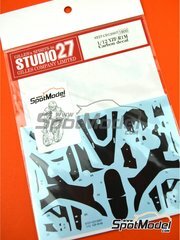 Extensive decals sheets with carbon fiber patterns specifically designed for the Ferrari Enzo in 1/24 scale by Tamiya. 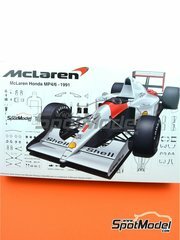 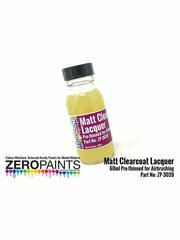 It will help your model look even more realistic! 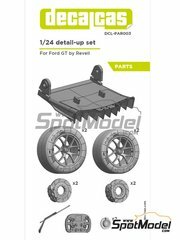 Set of resin parts to be used on the 1/24 scale Ford GT Le Mans kit by Revell, for improving the less detailed areas of the original model such as rims, brake discs and calipers, tyres, rear diffuser, fuel inlets, compressed air intake, steering wheel, etc. 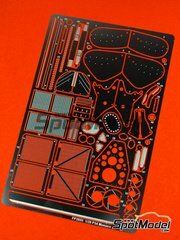 All parts have been computer designed with last generation 3D software. 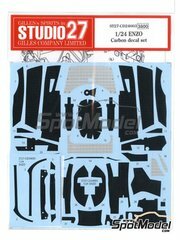 Time-limited re-edition of this photo-etched parts sheet designed for the Tamiya Tyrrell Ford P34 in 1/20 scale. 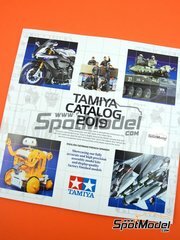 Do not miss them!! 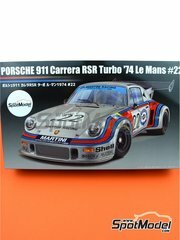 Edited in English, German, French and Spanish.